A few months ago I got to spend several hours working with Shelly Ibach, President and CEO of Sleep Number. I did her first headshot for the company several years ago and have been working with her since. It’s always so much fun and everyone there is great. The photo above was the last one we took of the day. I loved how bright her office was that afternoon. Here are some more of the photos we took that day. 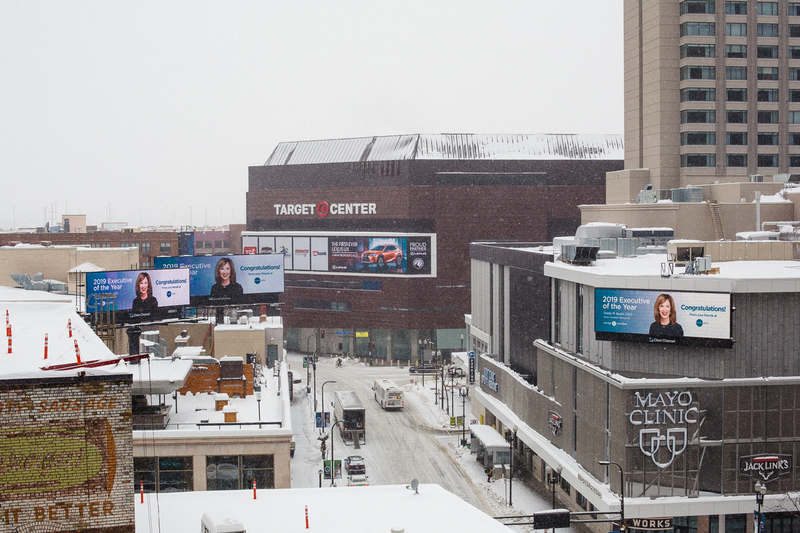 A few weeks later I was pulling into a parking ramp in Minneapolis one morning to do some headshots at the IDS Center for another client and saw one of the photos of Shelly that we did on three billboards. That was pretty cool. Congrats to Shelly for being named Minneapolis/St. Paul Business Journal’s 2019 Executive of the Year! 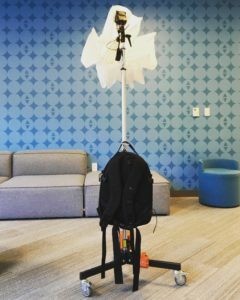 Because I was going to be there taking photos all over corporate headquarters, I needed a setup that was portable and didn’t require lots of breaking down and setting up. I used a rolling stand with a flash, umbrella and a couple of weights at the bottom. As a bonus, my camera bag was easy to hang so it wasn’t on my shoulder all day.